What Is Attracting Cockroaches to My Home? Realizing you have a cockroach infestation in Dublin is uncomfortable, so you and your pest control team should work on a solution quickly. Then you can get back to being comfortable in your home, knowing that it’s safe and free of pests. If you want to make sure the cockroach infestation doesn’t come back, you should know what draws the roaches to your living space. Continue reading to learn exactly what is attracting cockroaches to your home. If you rarely clean your kitchen, you shouldn’t be surprised when you find yourself with a pest control emergency on your hands. Every living being needs some kind of sustenance in order to survive, and cockroaches are happy to feast on the crumbs and scraps that they find in your house. That’s why it’s so crucial that you clean up food and drink spills in your kitchen—and anywhere else in your house—and make sure you store your food properly. Put your leftovers in airtight containers before you put them in the fridge, and don’t leave trash bags with food scraps sitting around. In addition to food, cockroaches need a source of moisture to stay alive and create an infestation. Homeowners also need moisture to do the dishes and wash the floors. When you’re finished with your chores in the kitchen, make sure you do a good job of drying up all the excess moisture. You also need to be concerned with your plumbing appliances. All it takes is a small puncture in one of your pipes to create a leak that causes mold growth and invites cockroaches and other pests. When there are a lot of places for bugs to hide, it’s harder to notice that there’s an infestation. Cockroaches know this and take full advantage of it. Clean your living space regularly so you will notice the presence of an infestation immediately. Pests go wherever they can find food, moisture, and protection. Unfortunately, that makes your restaurant an excellent destination for them. An ant infestation near Pleasanton can be jarring to customers, and they might begin to question how healthy and sanitary your establishment really is. In addition to working with professional commercial pest control services , you can take some preventative measures to make your restaurant less attractive to ants. Cleanliness is hugely important when you run a restaurant. Customers who see a restaurant as unclean are less likely to eat there, which means the company loses business and its reputation takes a hit. If health inspectors deem the restaurant unsanitary, you may even have to shut down until the problem is resolved. Keeping your space clean helps you avoid these problems as well as keep pest control issues at bay. Ants are more likely to show up when there’s food scraps and moisture to consume as well as places to hide, so keep clutter to a minimum and follow the right cleanup protocol. Ants are extremely small and can get inside your restaurant with little to no trouble, but you can make it more difficult by sealing the exterior of your business. Look for small gaps and cracks that ants might crawl through, and seal them up to keep them out. Close your doors and windows, use area rugs by entrances and exits, and remember to sweep regularly. You can also have your commercial pest control professional help identify access points and catch the problem before it moves inside. Keeping trash around is never a good pest control practice, and it’s especially detrimental if you run a restaurant. Most of the trash that a restaurant generates is made of food scraps, which is exactly what pests like ants are looking for. A proper waste management plan keeps the ants away. Although sowbugs are unattractive creatures, they’re no more than a nuisance when they enter the home. They don’t bite, transfer disease, or typically even eat living plants, so there’s no reason to freak out if you find one inside. You will still want to get rid of these unwelcome guests, however, by calling for a residential pest control service serving Pleasanton. You can even avoid the need for pest extermination by knowing what sowbugs look for and how to make your living space unappealing to them . Since sowbugs are unable to keep moisture in their bodies, they spend as much time possible in damp environments and even dry out and die when they spend too much time away from moisture. You can make your home less desirable by controlling your moisture and taking away any potential hiding spots for these pests. Additionally, you should seal up any access points that the bugs might use to gain entry to your home. Fix any holes in your screens and glass panes right away, and keep your doors and windows tightly closed. What Makes Spider Silk So Strong? Some people are scared of them, others are fascinated by them, and many feel both ways about spiders. There’s more to spiders than simply being a reason to call pest control near Dublin, and learning about them might make you less afraid. Watch this video to find out what makes spider silk so strong. You’ve probably walked through a spider web in the dark before, and you might have noticed that it doesn’t just snap and fall apart all at once. These webs are very ductile, which means they stretch out rather than break immediately. First the thread is pulled, then its proteins unfold and the thread stiffens before gradually breaking apart. Hydrogen bonds repeatedly reform in an attempt to keep the thread together, and watery droplets make the spider silk more elastic and thus better able to resist breaking. Tree diseases can be tricky to spot and difficult to eradicate. Prevention is preferable, but you should also know how to spot the warning signs of common infections. If you do notice anything, you can help save the tree or prevent the disease from spreading by promptly calling in a pest control expert for professional tree disease treatment in Dublin, CA. Know how to identify common tree diseases. You’ll likely need the help of a professional for a proper tree disease diagnosis. However, you should know the basic red flags that indicate it’s time to call for pest control. Photinia leaf spot: Indicated by small, circular dark spots on leaves, stems, and fruits. Foamy bark canker disease: Affects California’s live oaks. It’s indicated by foamy liquid and reddish sap protruding through beetle holes in the bark. Asian citrus psyllid: Indicated by yellow mottling and green patches on leaves. Perhaps the best defense against these common tree diseases is a holistic one. Give your trees the right growing conditions to keep them healthy and vigorous, and they will be much more likely to effectively resist pests and diseases. Since different species require different growing conditions, defer to the tree’s specific needs regarding soil type and quality, drainage, irrigation, fertilization, and rootstock selection. In general, fruit trees do best in fertile soil with good drainage. Over-fertilizing isn’t recommended, as too much nitrogen can leave the trees more susceptible to diseases. A soil analysis is a good investment for orchard owners. Regular pruning is essential for encouraging air circulation. After the rain, or even the morning dew, the increased air circulation in the tree’s canopy allows it to dry more quickly. The faster the tree dries, the less of a chance a fungal infection will affect it. If you lack experience with pruning, consider calling in a professional, since making mistakes with this task can actually make your trees even more susceptible to diseases. One of the most common mistakes is making a cut flush against the trunk. This eliminates the branch collar, which is a small bump of matter that contains specialized cells, which enable the tree to heal better from the cut. If you slice off the branch right next to the trunk, the gash in the trunk will allow diseases and pests to attack the tree. It might be tempting to save a few bucks on professional pest control services in Pleasanton, CA. Unfortunately, it’s a costly mistake that you’ll likely regret. When you’re facing an unpleasant problem like a cockroach infestation, you need it cleared up effectively and quickly. Taking a DIY approach to pest control will only waste your time and energy, and it’ll be quite frustrating when you discover that it didn’t work. Different pests require different control strategies. The average homeowner probably doesn’t know the differences between a silverfish and a firebrat. And sometimes, the specific type of pest is impossible to identify because the homeowner only sees the secondary signs of its presence. The problem with this is that different pests respond differently to pest treatments. A professional can quickly and accurately identify the type of infestation, and determine which treatments will be most effective for clearing it up. DIY pest control is often ineffective. Homeowners who try DIY pest treatments may be successful at treating part of the infestation. It’s easy to assume that if a homeowner doesn’t actually see any bugs, there aren’t any in the building. This creates a false sense of security. Even if the homeowner eliminates an ant trail, for instance, this doesn’t eliminate the underlying source of the infestation. An insect control specialist knows how to track an infestation back to the source, and how to eliminate all traces of the pests. One of the problems with pests is that they are everywhere. Even if you keep a clean home and have sealed up points of entry, it’s inevitable that insects will re-enter your home. It’s necessary to call in the professionals for continued pest management. An experienced technician can identify your home’s unique needs, and formulate a long-term control plan to keep your family safe from troublesome insects. DIY pest control can put your health at risk. Yet another reason why DIY pest control isn’t a good idea is because it can put your health at risk. Many people have allergies to insect stings and bites, and to cockroaches. Exposure to your allergen is unpleasant at the very least, and potentially life-threatening in the worst case scenario. How Do Bugs Live Through Winter? One of the perks of the return of chilly weather is that it provides natural insect control. But where exactly do insects go during the winter? Watch this featured video to find out. Clearly, not all insects die when colder weather strikes. Otherwise, residential pest control companies in Pleasanton, CA wouldn’t be so busy in the spring and summer. It turns out that different species of bugs have their own methods of coping with the dropping temperatures. A few insects fly south for the winter. These include some species of butterflies and dragonflies. Other insects brave the cold by burrowing into soil or leaf litter, and entering a type of hibernation. In fact, some bugs can pump alcohols throughout their tissues, which work like antifreeze. Other bugs, like crickets, reproduce in the fall and then die, leaving the eggs or larvae to grow into the next generation. The sight of a spider can instantly trigger disgust and fright—two emotions you definitely don’t want your hotel guests to experience during their stay. Since hotels are prime locations for bug infestations , it’s good practice for owners to call in a commercial pest control company in Dublin, CA for routine inspections. After conducting an investigation, the technicians can perform pest treatments for an active infestation. This will stop the existing spiders from scaring away your guests. Next, the technician will develop a long-term pest control plan. This may require applying pest extermination materials at regular intervals. You may also receive tips on how to deny entry to arachnids and other pests. If the windows open, they should all feature snugly fitting screens. All crevices and cracks should be sealed with caulk or foam, and there should be no gaps around the doors. Another effective spider exclusion strategy is to treat the hotel for the insects that spiders feed on. Keeping a clean hotel is a must for discouraging bugs from taking up residence there. What Does Anthracnose Look Like? Anthracnose is a resilient, fungal disease that can affect many types of plants, including trees. 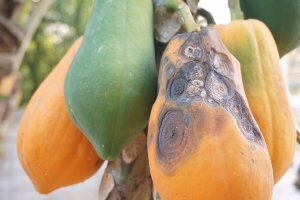 If you’re wondering if you need tree disease treatment near Pleasanton because trees in your landscaping are looking less than healthy, then anthracnose may be to blame. Anthracnose is a very common plant disease in California, and it can cause hardwood trees to develop symptoms on their leaves. If your trees are infected by this fungus, then you may notice that the leaves have yellow, brown, or black splotches on them. Anthracnose commonly affects shoots and leaves, causing wilting and dieback. This disease can spread from one plant to another through things like wind, rain, contact, and gardening tools. If you suspect that your trees are infected with anthracnose, then consider contacting a plant technician right away for tree disease diagnosis and treatment. Taking steps now to control this fungal disease may help your trees recover and prevent the problem from spreading to other plants in your landscaping. In the fall and winter, many families end up needing pest control in Dublin as insects and other pests make their way indoors to find food and shelter. Watch this video to see the National Pest Management Association’s Fall/Winter pest forecast for 2017. Factors like flooding in some areas and heat waves in others are projected to increase pest activity nationwide. This fall and winter, mice are anticipated to be a bigger problem than usual in the Pacific Northwest. As for the Southwest and West Coast, hot temperatures are expected to promote more ant and cockroach infestations. In the Midwest, mild weather has led to increased rodent populations that will look for shelter indoors as winter approaches. Finally, the Northeast can anticipate seeing stink bug, ladybug, and mice problems this year, and the Southeast can expect increased ant, termite, and mosquito activity.